Welcome to RawHyde's "Rider Training Programs". 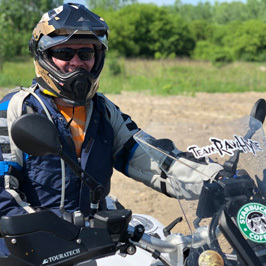 For the last 16 years RawHyde has been providing training services to folks who want to gain more confidence and comfort using their adventure bike to do everything from “exploring the world” to roaming the forest service roads and trails in their own local regions. We call our programs Adventure Camps, because they are much more than a simple riding skills program. They are all encompassing adventures that provide a much richer experience than just a class room and a training field. 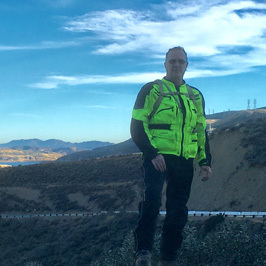 You will definitely learn a lot about riding your motorcycle in challenging conditions, and your confidence will skyrocket, but your experience will be much more than just training. 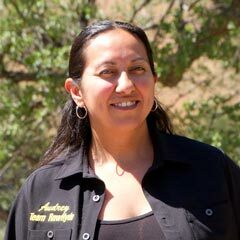 You'll have the chance to learn about many of the ancillary things that go with Adventure Riding, Navigation, GPS, trail repairs, the latest in communication and a whole lot more. You'll also enjoy the camaraderie of the campfire, hanging out in the Dakar Lounge, and sharing fine meals together. 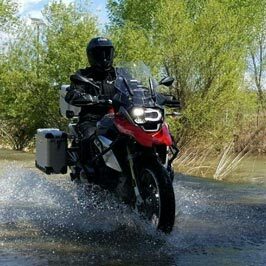 The Adventure Riding market is the fastest growing part of the motorcycle industry and the reasons are many as to why this particular segment of motorcycling is increasing in popularity but the main reason is simply this – Adventure Bikes are the most versatile motorcycles available, they do everything well and they are particularly well suited for exploration. For the most part everyone who loves motorcycles dreams of someday taking a big trip somewhere – and Adventure Bikes provide the best solution to assure that you can go “anywhere” that you want to go. 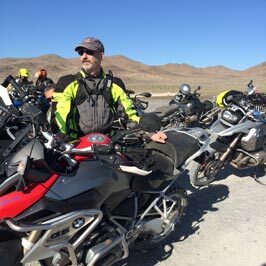 After all most of the worlds roads are unpaved except in the USA and Western Europe so if you want to explore… you’ll need an adventure motorcycle. BUT – adventure bikes are big, heavy, clumsy and expensive so many folks are reluctant to attempt taking them off the pavement simply because of the uncertainties that come from getting away from cell service and roadside assistance, but this is where we come in… We’ll provide you with the skills, the confidence, and the know how to take your machine anywhere on the planet. At this point we’re seeing new riders enter from three primary backgrounds. 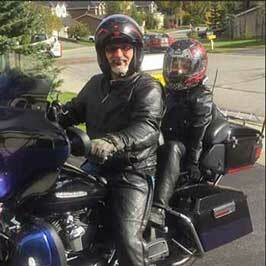 Cruiser and sport bike owners who have become bored because of the limited versatility of these types of machines. 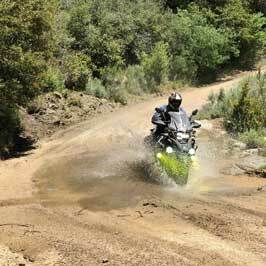 New riders who are drawn to this genre due to the “authenticity of the experiences” that come with adventure riding. Our level one class is called “Intro to Adventure” and is geared toward providing basic off road skills enabling your to confidently travel on basic dirt or gravel roads! Our level two class is called the “Next Step” and teaches the skills to navigate the more challenging jeep trails and unmaintained roads of the back country! Our level three class is called “Expedition C V” and as the name hints is an Expedition preparedness program. Riding skills are reinforced, but you’ll also learn the other important skills like trail maintenance, navigation, field repairs, communication options and much more. Regardless of skill level or experience RawHyde has something for everyone click to sign up for a class in California or in Colorado! 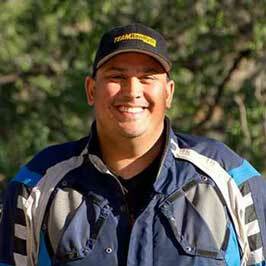 For nearly 15 years RawHyde has been providing rider training classes at its 2500 acre facility in California. Three levels of training area available. Learn more about our curriculum based programs. In 2013 we opened a facility in Colorado to avoid the heat of California’s summer weather, and to take advantage of some of the BEST adventure riding in North America. Two levels of training are available! Learn more about our programs in Colorado.